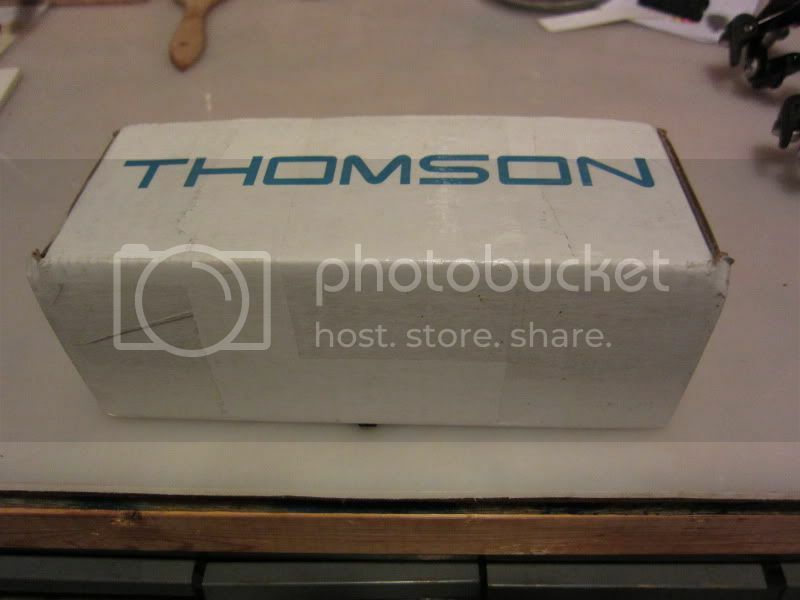 Well I won the Thomson Contest. Whooo hoo!! Big shout out to all my friends and help I got to win, couldn't have done it without you! 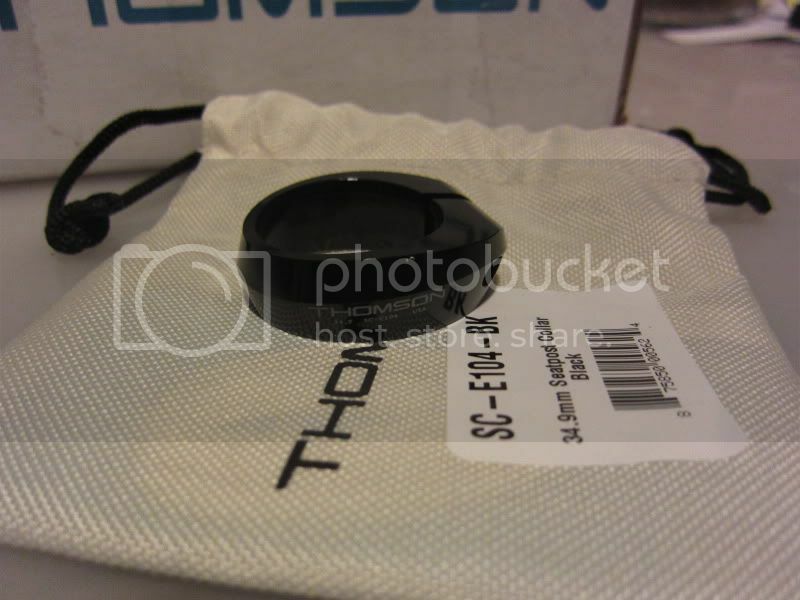 Thanks to Thomson for first making Awesome products and also for this contest! 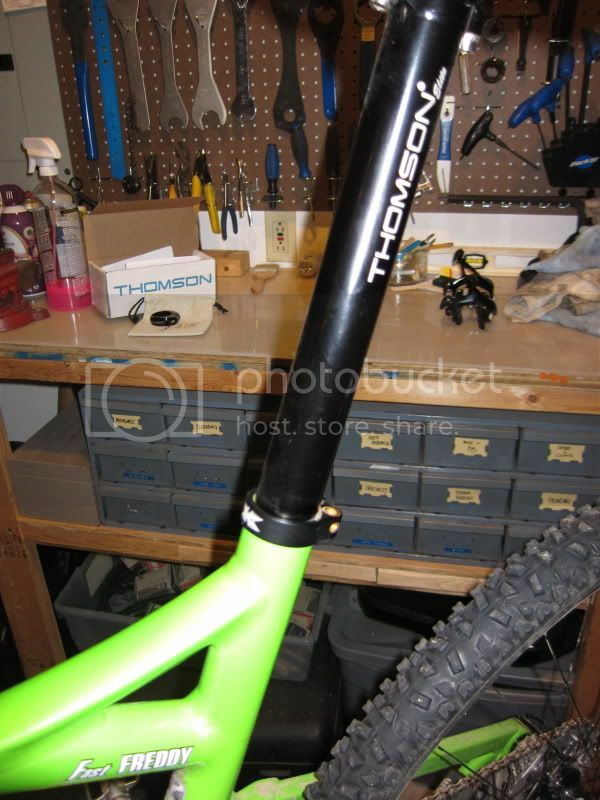 I opted not to get the dress up kit for the X4 stem and just get a seat clamp to finish out my bike. I didn't think I could pull off a red, blue or gold on my Green Niner. First the cool box of goodness showed up. 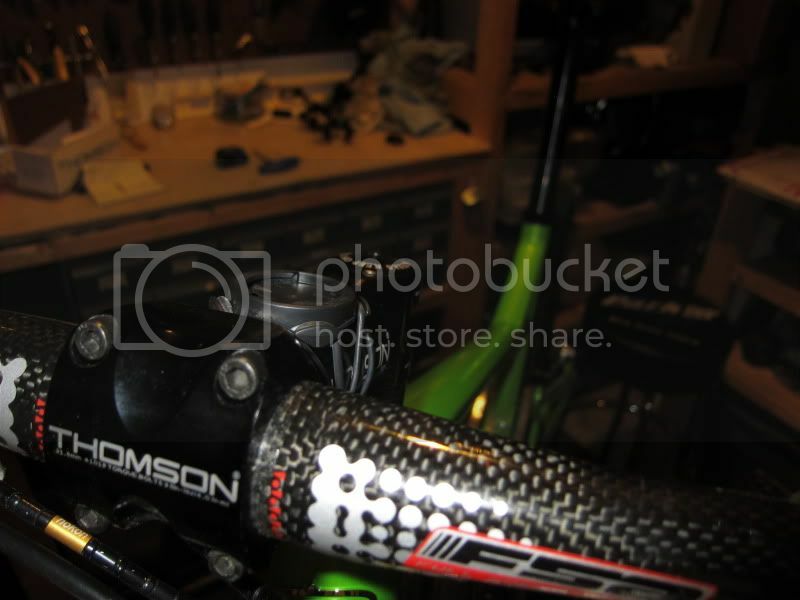 I love when you can put a part on the bike and never have to mess with it or worry about it again. 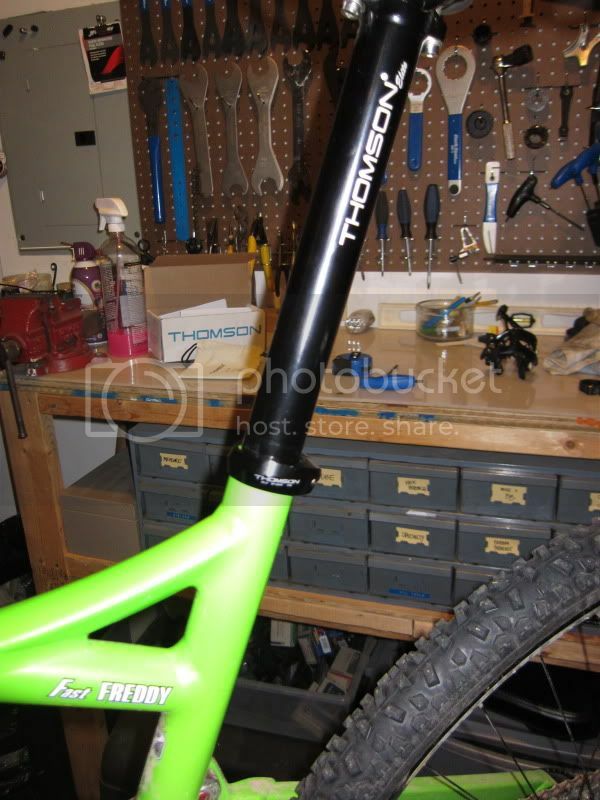 And the Trifecta... stem, post, and clamp all now stealthy Thomson! Thanks Thomson! You do really make GOOD STUFF! I can't wait for the X2 Road dress up kits to become available! I am ready for blue on those!